Actor Liev Schreiber has adopted two puppies, both of which were in need of homes after their shelter in Houston was flooded in the aftermath of Hurricane Harvey. 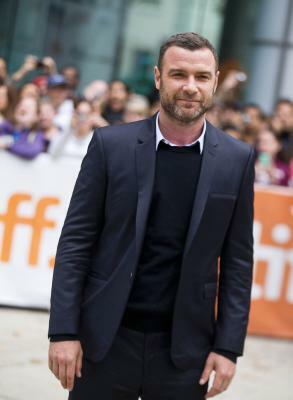 Schreiber came to “Live With Kelly and Ryan” on Wednesday. He was waiting backstage before the show when he encountered some dogs from Texas who had been displaced by Hurricane Harvey and brought to the show by members of the Home For Good Dog Rescue, to raise awareness about the plight of animals in the areas devastated by the natural disaster. When the 49-year-old star came out to chat with hosts Kelly Ripa and Ryan Seacrest, however, he seemed a little frustrated. It turned out that one of the show’s producers had their eye on the same puppies. “I just had a dust up with one of your producers,” Schreiber told the hosts as he sat down. “My sons want a dog and I found the perfect dog, but one of your producers already wants my dog,” he said. “Think of my poor 10-year-old son sitting at home right now, looking at the television, weeping for his beloved (puppy),” he added.